The Original Soft Surfboards by Liquid Shredder. Patented Technology and Peruvian designs, hand made by surfers. Tested on the Pacific coast of South America and proven winners in Sanctioned Surf Contests World Wide. Join the Liquid Shredder Revolution! Peruvian made Original Liquid Shredders for all riders, kids, shortboard, fun and longboard shape softboards. Peruvian Solid Hardwood stringer and unique Patented vinyl outer skin. 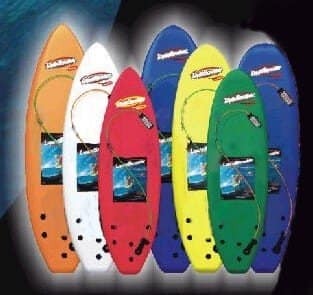 The Original Soft Surfboards, by Liquid Shredder. On Sale Original Element Economy Soft Surfboards. FREE USA 48 State SHIPPING! NOTE: 4th Generation version Element Series have more advanced specifications than the Economy models,including, but not limited to, Aluminum Stringer system and Gore-tex air venting. The 4th Gen. version Liquid Shredder soft surf boards are listed separately on the website. Bought this board 3 years ago and this board shows very little use,well made and tons of fun.Great board for little kids.